Every parent wants their child to brush. It can be a trying process and a frustrating one to get a young child, and even a teenager to brush regularly. However, there are instances in which a child, and even adults, brush their teeth too much. This can lead to what is called "toothbrush abrasion" and if your child is brushing too much, you need to step in and curb the habit. When a child vigorously brushes their teeth, it can wear down the enamel as well as damage and push back the gums. In time this will lead to sensitivity in the teeth which can make it hard to eat or drink foods and liquids that are either too hot or too cold. Receding gums can also lead to periodontal disease and cavities on the roots of the teeth. Over-brushing is often noticed in children that are diligent with their oral care, diligent to a point where damage can occur. If your child has been diagnosed with OCD then you may want to be on the lookout for signs that he or she is brushing too often and too vigorously. Without appearing to 'spy' on your child, peak in now and then and watch as they brush to see if they are brushing gently or if their movements are rough and intense. 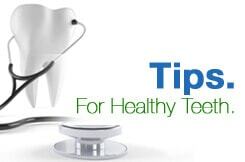 Also check their toothbrush and look for signs that over-brushing is happening such as frayed bristles on a new brush and blood on the bristles. It's great that your child is diligent about brushing his teeth, but if he is doing so in a manner that is too rough then it is time to step in and correct the habit.